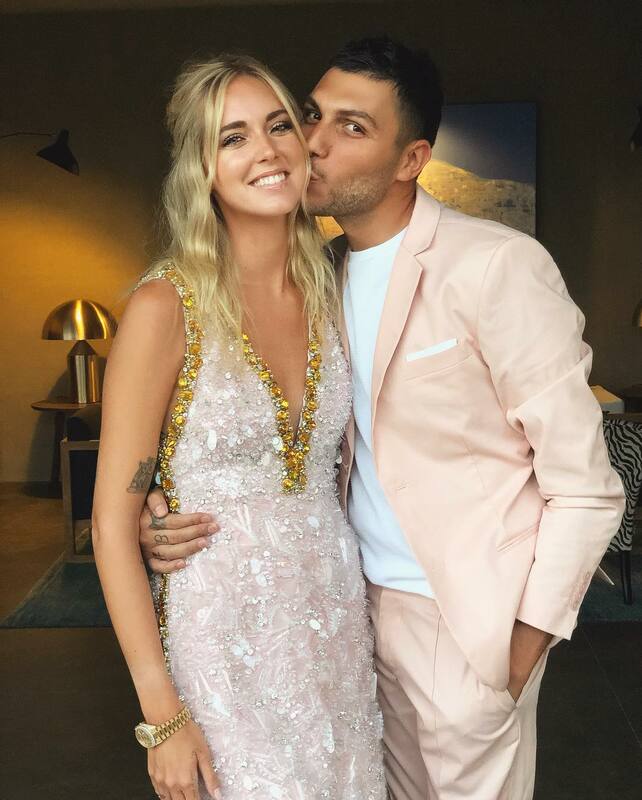 Fashion influencer and fame of The Blonde Salad fashion blog Chiara Ferragni is all set to tie the knot today, and all eyes have been on the dazzling dresses she has been wearing. Flaunting a number of high-end designer pieces for the wedding weekend, the 30 year old arrived at her wedding rehearsal dinner clad in Prada. The made-to-measure ensemble was a beautiful pink gazar gown featuring a white organza overlay and dazzling crystal and sequins embellishments all over. Chiara was a gorgeous vision in the plunging sleeveless gown, and added a matching pouch and satin sandals to her look. Set to wed in Italy, Chiara's wedding gown will be Dior Haute Couture, and one wonders if Dior will be able to surpass this stunning Prada gown.